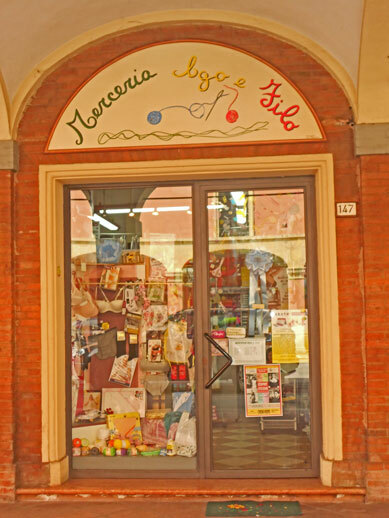 On a recent 10 day tour of Italy, 3 Yarn Shops found me. 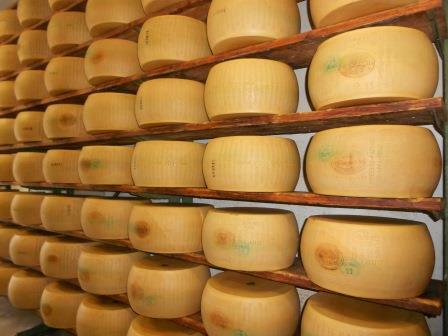 We visited Parma early one morning to explore the process of making Parmigiano cheese. We had to be at the facility at 8 a.m and so there was no time for breakfast. The tour concluded around 10 a.m. Determined to find coffee and some breakfast, the bus stopped in the a small town called Castel Franco Emilia. As the group finished their breakfast, I decided to go outside and take in the sites of the town. Standing in front of the coffee shop, I spotted this sign across the street. 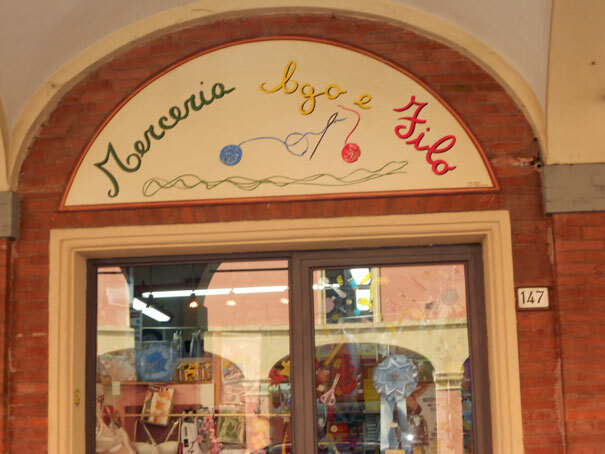 My italian is not very good but I immediately recognized the word “filo” and the picture of the needle and thread and the ball of yarn. I made a mad dash across the street and entered this lovely little shop. It was a tiny store but chock full of treasures for someone like me. 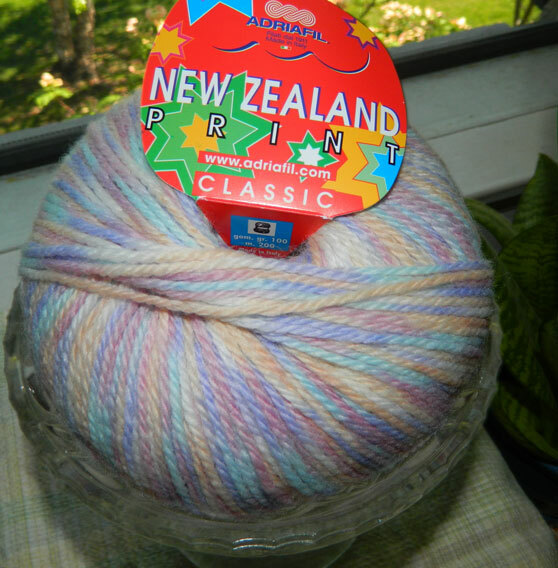 I didn’t have much time because the bus was leaving so I picked up a beautiful skein of Adriafil New Zealand Print. The yarn is colorway 27 and is 75% wool and 25% acrylic. It has a lovely feel to it and the colorway is soft pastels. The colors represent my mood on that day beautifully. Happy and peaceful. This is approximately 200 yards. I’m going to make squares for a blanket using this yarn as the center of each square. I need to add a solid for the outer edge of each square. I’m planning on taking this skein to my LYS here choosing a complimentary color for the outer edges of the squares. I believe this will be a lovely souvenir of a wonderful day on my first visit to Italy. Hope to see a picture of what you do with the yarn.